In addition to the new artists announced, this year all five Marley brothers (Stephen, Ziggy, Damian, Julian and Ky-Mani) return for a second historic performance, along with their father’s contemporary, reggae legend Toots Hibbert & The Maytals. They will be joined by Marcia Griffiths of the I-Threes, foundation reggae band Inner Circle—who celebrate their 50th year in the reggae industry this year—as well as the original Reggae Ambassadors Third World, Indubious and Roots Of Creation. 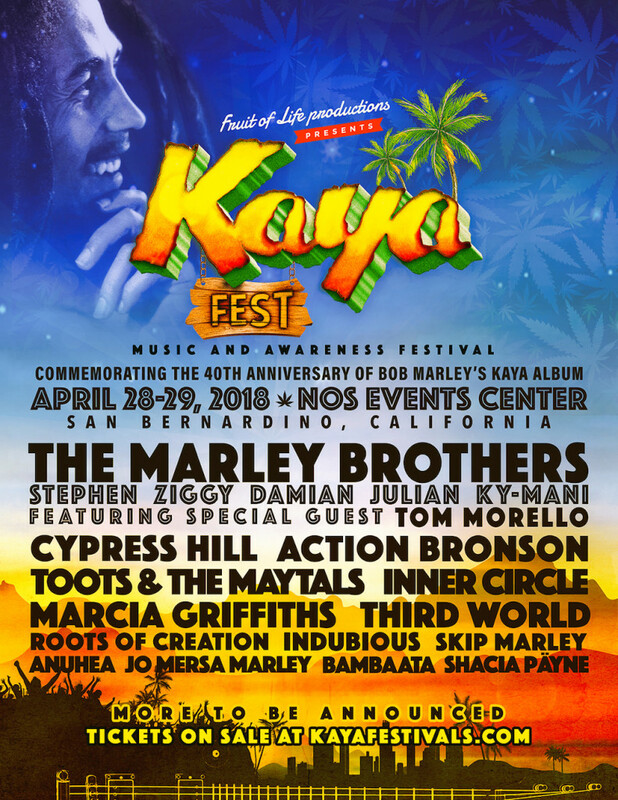 The Kaya Fest Lineup will also showcase the next generation of Marley music makers: Bob’s talented grandchildren Skip Marley, Jo Mersa Marley, Bambaata, and Shacia Payne Marley. 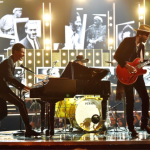 More artists are still to be added to the star-studded lineup, and will be announced as the bookings are confirmed. The historic NOS Events Center venue will provide a perfect setting for the Music and Awareness festival, whose stated goal is to educate, inspire and encourage positive public awareness of the vast medical and industrial potential of cannabis, which became legal in California as of January 1, 2018—and in numerous other states across the United States and the world at large. The festival also celebrates the 40th anniversary of the release of Bob Marley’s iconic album, Kaya. Kaya Fest 2018 two-day early bird General Admission and VIP tickets are on-sale now. All Ages event – Children 5 and under are Free with paid adult. Doors open at 12 noon each day.